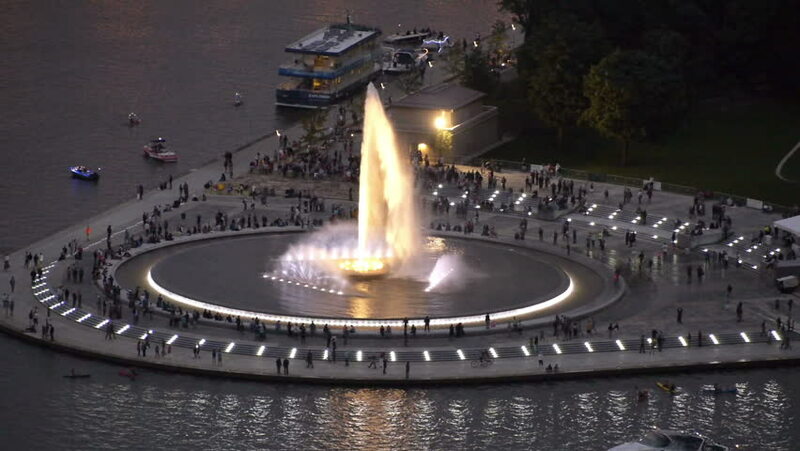 The iconic fountain at The Point in downtown Pittsburgh, Pennsylvania. hd00:15Dramatic flash zooms in and out of the new fountain at The Point in downtown Pittsburgh, Pennsylvania. 4k00:16Aerial view of the night metropolis Warsaw. 20. November. 2018. Shopping center Golden Terraces Poland. 4k00:27NOVOSIBIRSK-RUSSIA - 15.08.2016: Novosibirsk Opera and Ballet Theatre NGATOIB, Novat. hd00:26Hand of woman Dj play mixing Control Music in club party.